▶ CLICK HERE TO REGISTER! 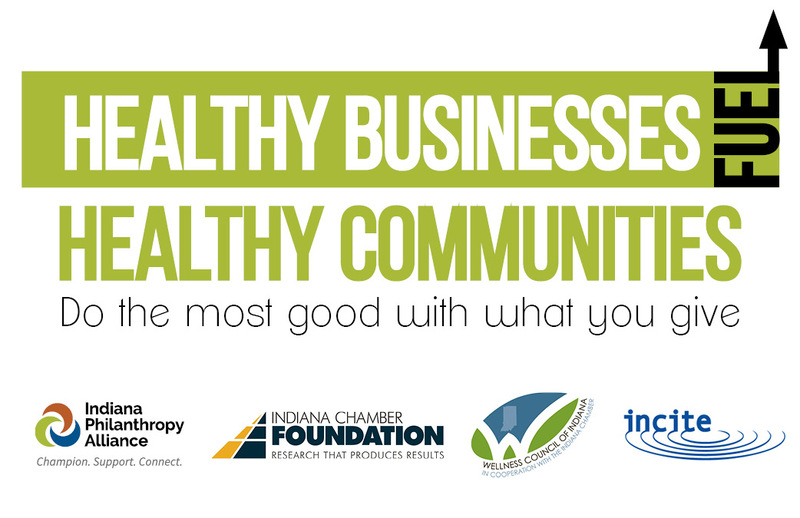 Please join us July 13th from 10am – 3pm as we bring together Indiana business and philanthropic sectors to explore how corporate engagement in community service and giving can improve health for employees and all Hoosiers. This learning and networking event is designed for business owners and leaders with an interest in finding ways to combine their corporate service, giving, and wellness efforts to benefit staff and the greater community. The content is also designed to link executives and program officers at corporate foundations with individuals involved with social responsibility and wellness programs. ▶ Click here to learn more.